So glad to see you today - thanks for stopping by! A few weeks ago we had our monthly Chalk-a-holics meeting. We had so much fun stamping, getting to know each other, and snacking. There were some delicious munchies brought. Yum! Of course, we had some projects for everyone to make. Since we had some new ladies, I tried to keep the projects easy this time around. I can do simple and easy - really, I can! 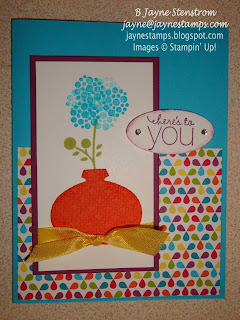 First off we made a card using the products from the Summer Smooches suite. Remember that you can purchase the items in this suite during the month of April, but then they will be gone until the new catalog comes out in June. So if you want some new things to play with, now's the time to order these! Here is the card we made. Don't the bright colors just make you smile? 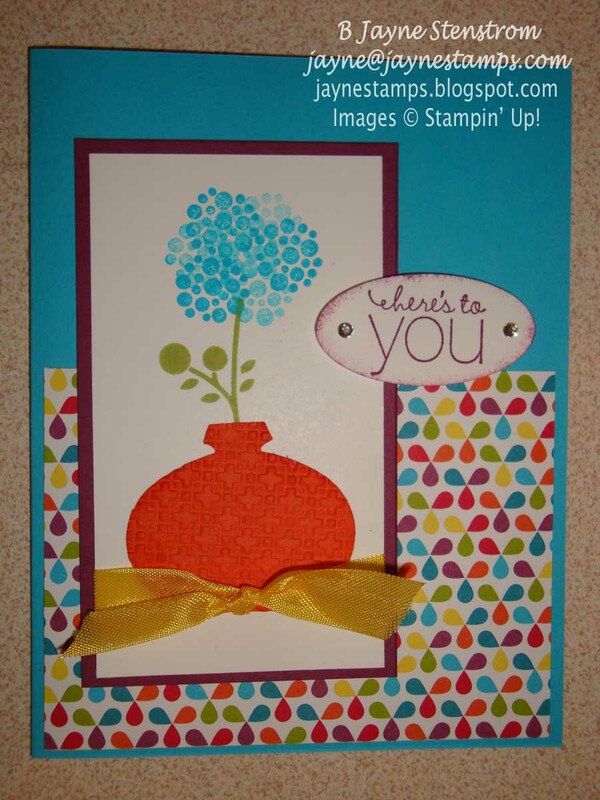 Do you know what was used to make the vase for this card? Take a guess! 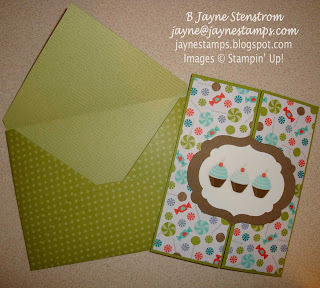 We also made a quick card using some of the items from the Sweet Shop Product Suite in the Occasions Mini Catalog. These products are only available until the end of the month, and after that I don't know if they will be in the new catalog or not. So if you like these, order them now while you still can! 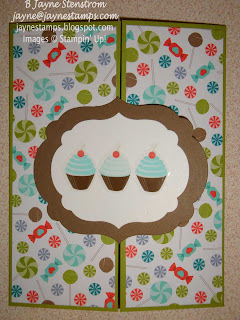 This card uses the Sweet Shop Specialty Designer Series Paper and the Sweet Shop Designer Stickers (CUTE, CUTE, CUTE!). We also used the Labels Collection Framelits Dies for the center image. 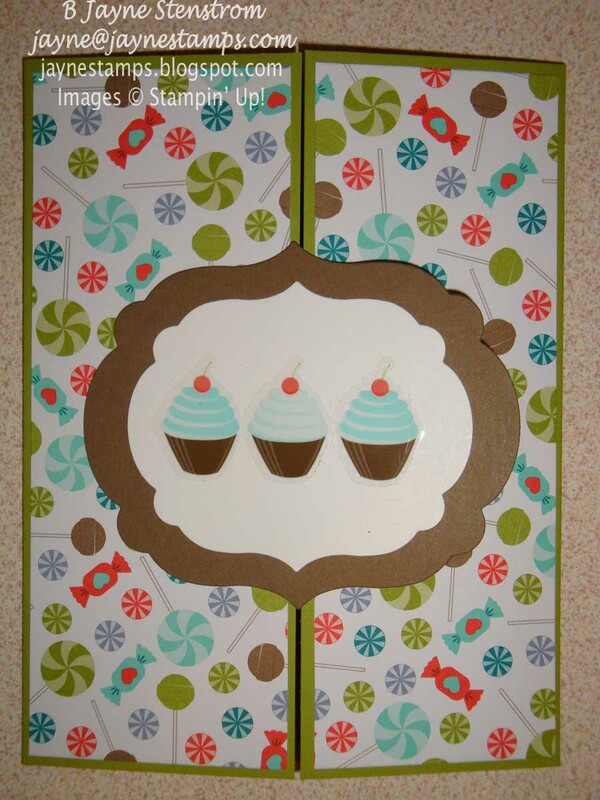 The Simply Scored tool was used to make the gate fold card. Very quick and easy! 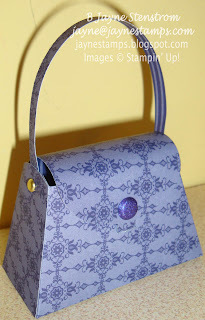 And the last item we made was a purse made with the Petite Purse Bigz L Die. Can you say A-D-O-R-A-B-L-E?? These are just the right size to put some chocolate inside and would make a great little thinking of you gift or a party favor. 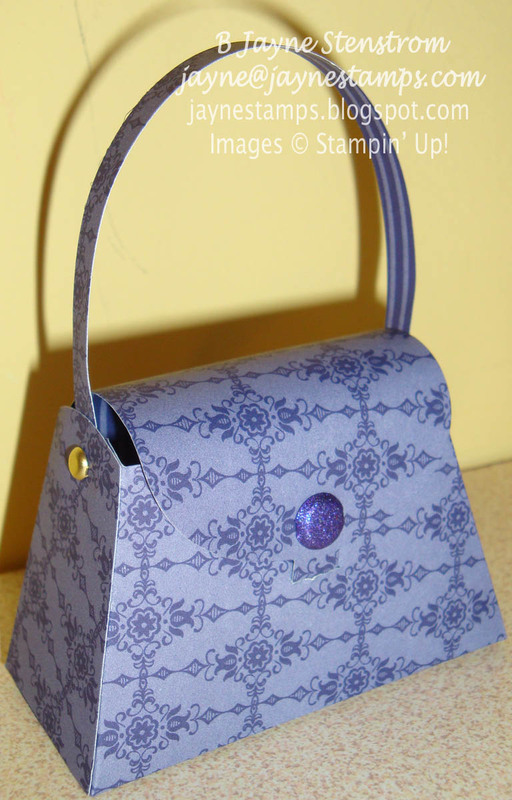 The die cuts the purse and the handle, and it only takes two pieces of Sticky Strip to hold the purse together. If you were a member of the Chalk-a-holics stamp group, you would be eligible to attend the meetings and make projects like these each month. We would love to have you join us! Contact me any time for more information!